As the lines between manufacturers, wholesale distributors, and retailers are increasingly blurred, it impacts the basis of competitiveness, business models, processes, services, and systems. In this series, we explore what happens when businesses 'cross over' to become a combination of manufacturer/distributor/retailer. It is no secret that the old clear distinctions between manufacturers, distributors, and retailers have been obliterated. Manufacturers are increasingly selling direct to the end customer (consumers, businesses, or both) via the web, or in some cases with their own bricks and mortar stores (such as Apple, Nike, Goodyear, Ralph Lauren, Sony, Hugo Boss, Tesla, Kenneth Cole, and many more). Whole­salers are also selling direct to end customers and as well broadening their services to include light assembly and manufacturing and in some cases offering their own branded product lines. Meanwhile, retailers are increasingly relying on private label products to generate margins and loyalty, essentially taking on the role of a brand owner, managing outsourced manufacturing. (For example, Target is launching 12 new private label brands this year). This trend has been going on for many years, but has been gathering momentum with the accelerating adoption of ecommerce and omnichannel business models. In this article series, we explore what happens when a business crosses over to become a combination manufacturer, wholesaler, and retailer—how it impacts partnerships, services, revenue models, and the business’s system requirements. Ryonet—This manufacturer and distributor of screen printing equipment and supplies was founded in 2004 by a musician who built his own screen printing press to make T-shirts for his punk rock band to sell while on tour. He discovered that he could make better money printing shirts than playing in a band, and eventually started selling supplies and manufacturing and selling the equipment. Ryonet sells direct and through traditional and online retailers. They sell or rent the presses, as well as all the supplies including inks, frames, squeegees, films, software … everything needed to do screen printing on T-shirts, even starting a blank apparel division in 2017 under the brand Allmade. They manufacture their own products as well as distributing products made by others. 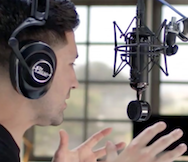 Blue Microphones—Founded in 1995, California-based Blue Microphones started manufacturing and selling studio grade microphones priced in the $1,000 to $6,000 range. Then, about ten years ago, they started making consumer grade mics for things like blogging and Skyping. In addition to manufacturing, they sell direct to consumer (via ecommerce) as well as through retail channels. 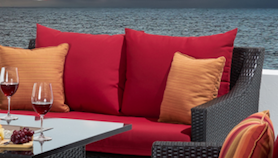 RST Brands—A designer and manufacturer of luxury outdoor furniture and flow walls, RST sells through major retailers, including Costco, Home Depot, and Lowes. They also sell online through Amazon, as well as direct to consumer through their own website. Crossover businesses and their employees need to become ‘polymaths of business,’ with multi-dimensional capabilities. This crossover phenomenon drives the need within a company for new kinds of expertise, processes, and systems, crossing traditional boundaries. A good example is Ryonet. They have their own manufacturing plants where they build manual screen printing presses, from inexpensive hobby units up to more sophisticated presses. They make about 5,000 units per year, sourcing metal from local suppliers, then fabricating and doing all the manufacturing processes inhouse (except the powder coat). They deliberately retained direct control of manufacturing so they can maintain quality and create unique products, backed with a very strong warranty. The life of a press is very long, so they use that initial sale to drive many years of wholesale distribution sales of ink, screen, squeegees, tape, and other supplies that their customers need every month. Being a crossover business enabled a ‘razor blade’ business model for them; that is, the initial sale of the presses drives significant recurring revenue from supplies they distribute. Ryonet is a one-stop shop for anyone trying to own and operate their own T-shirt printing business. In addition to selling presses and supplies, Ryonet provides a broad array of other services: they conduct extensive education and training programs, provide financing programs and services, and have their own rewards programs. As the scope of their offerings and services has expanded over the years, Ryonet plays an increasingly diverse set of roles and has developed an amazingly wide range of capabilities for a relatively small company (about 100 employees). Being all-rounders, crossover businesses need systems that can take on ‘multiple personalities’—enabling a firm to simultaneously manage its manufacturing, distribution, and retail operations, with omnichannel capabilities, all in one system. Historically, systems have been designed for only one of these types of businesses, since they have such differing needs. Retailers need merchandising and assortment planning systems, allocation and replenishment, promotion management, consumer-level demand management, store operations, and so forth. Manufacturers need a very different type of forecasting systems, design tools, commodity and supply management, manufacturing planning, scheduling, and plant operations, service and warranty management, and other manufacturer-specific tools. Wholesale distributors need catalog management, multi-level pricing, trade fund and rebate management, complex customer management, installation and service tools, and other capabilities. Most ERP companies focus on only one of these types of businesses, or they offer a different separate, unintegrated system for each type of business. That works when a business only does retail, or only does wholesale, or only manufacturing. But when a business crosses those boundaries, and tries to use separate (unintegrated) systems to run each part of the business, it becomes very difficult for them to understand and manage aggregate demand, or realize the benefits of aggregated spend, or keep different operations in synch, or get a single view of inventory to do reliable order promising. In short, it become nearly impossible to run their business in any kind of coordinated, optimized fashion. System-to-system integration is one approach to trying to bridge the different parts of the business, but it is expensive, makes implementation much longer, often introduces significant latency (lag time) in transferring information between systems, sometimes results in loss of data, and needs to be continually maintained (at great cost) or the integrations start failing and falling apart as the various systems being connected evolve. That’s not to say there is never a role for best-of-breed systems. As a company grows in size, complexity, and specialized needs, there will invariably be a need for some best-of-breed systems and these will require integration. However, trying to run a crossover company on three different ERP systems—one for their manufacturing business, one for their distribution business, and one for their retail business—creates major problems, inaccuracies, and inefficiencies. Synchronizing master data about customers, suppliers, products, parts, and so forth can be a big challenge. The same is true about synchronizing transactional data. Or trying to consolidate spend. These things happen automatically and are much easier when there is a single system with a single database, providing a single-version-of-truth across the firm. To support a crossover business, the single core system needs to support key required functionality across all three types of businesses (retail, wholesale, and manufacturing). When we say crossover businesses do it all, it doesn’t mean it is necessarily all done inhouse. Most businesses rely on many outsourced partners to get the job done, whether it is outsourced manufacturing, packaging, logistics, service and support, or other key functions. Thereby it is important that the core system supports rich, tightly coupled outsourced relationships; providing the outsourced partner access to key functions in the core system, to enable them to become an integral part of the extended enterprise. One example, in the area of fulfillment outsourcing, is Blue Microphones, who implemented a portal in their NetSuite system that their 3PL (Third Party Logistics) providers use to pull and fulfill orders, and to post and track invoices. Blue Microphones is in the process of connecting those 3PLs via EDI as well, allowing their system to get automatically notified when freight is picked up and delivered. The ability for outsourced partners to participate intimately in core processes is key to a crossover business’s success. 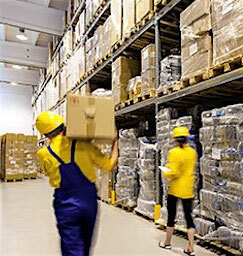 Service is becoming increasingly important across manufacturing, wholesale distribution, and retail. It is often the primary source of differentiation and profit. Companies are doing more installation, professional services, service and repair, longer, richer warranties, provide financing, and more. Offering a rich pallet of services requires a system with functionality such as project management, time tracking and billing, call center, incident tracking, resource planning and optimization, service dispatching, service parts management, knowledgebase, highly flexible services billing, and so forth. Ideally this functionality is part of the core ERP, making it easy to integrate service with the rest of the business, such as logistics (materials and transport), marketing (single view of all customer touch points), finance (single consolidated invoice), development (data on product failures, improvements needed), and so forth. For example, when scheduling and executing onsite service calls, one key to success is maintaining comprehensive communications with the customer, from the beginning through to the end of the process. RST offers white glove delivery and installation of the furniture they sell. When an order ships from RST, their NetSuite system automatically notifies the customer and tells them exactly what to expect: the time slot, the nature of the white glove service they will receive, procedures for reporting any damages immediately, and so on. The messages can be customized according to the type of product and service, such as prominently pointing out for certain couches that the cushions are found under the frames (thereby eliminating one of their most common calls from customers; ‘where’s my cushions?’). Other communications that can by automated for white glove services including automatically calling the day before to confirm the appointment (typically via an interactive voice response, touch-tone or voice-recognition system) saving a lot of expensive no-shows, and a very simple post-delivery customer satisfaction (‘how did we do, how can we improve?’) survey, sent shortly after the delivery, while it is still fresh in the customer’s mind, enabling continuous improvement. In part two of this series, we look at evolving new business and revenue models, being driven by the adoption of crossover business models, and what it takes to lay a foundation for growth in this new crossover world.